$17 parking for overnight guests. Limited street parking is available. Uber, Lyft, TriMet, and Airport Shuttles are all available. Check-In will be in the Lobby outside of the Hawthorne/Sellwood Room. All workshops will take place in the Hawthorne/Sellwood Room. The Referee Workshops will take place in the Ross Island/Morrison Room. 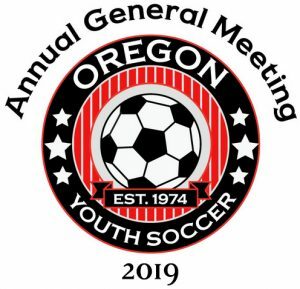 OYSA AGM is $50. The fee includes lunch, coffee, drinks and snacks throughout the day, and all workshops. OYSA knows our Member clubs have amazing people that help them to succeed. Show them you care by nominating an individual. Award winners will be announced via Facebook and during our AGM. See sidebar for all downloads and links.